We offer high quality meat from heritage breeds. Chevon and cabrito- are fancy names for goat meat. It is a healthier alternative to beef. Goats were our first farm animals! 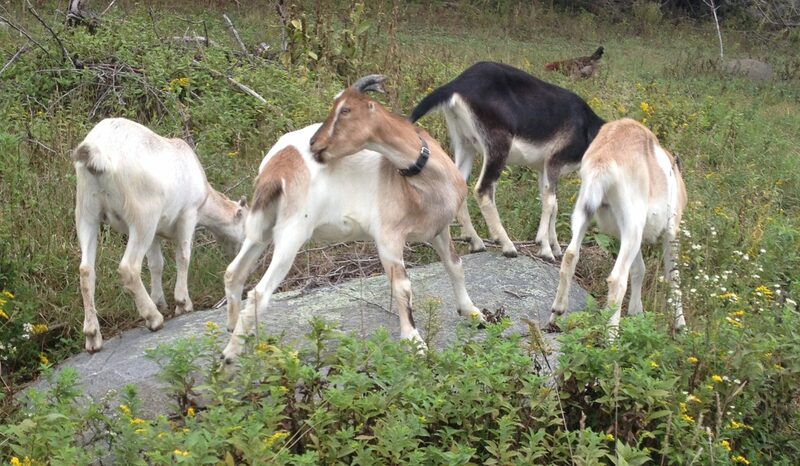 We have LaMancha goats- an American ear-less breed first developed in 1927. They are a dairy goat, and a side product of dairying are male offspring which are quite luscious and pleasing to taste. This goat meat, (and the milk,) is not noticeably ‘goaty’ and we have had the meat braised in a savory sauce, as ragoûts and mixed into burgers and it’s best with bold spicy flavors like curry. Ground goat can be used with or even alone in any of the same dishes that use ground beef, chicken, pork, or lamb. 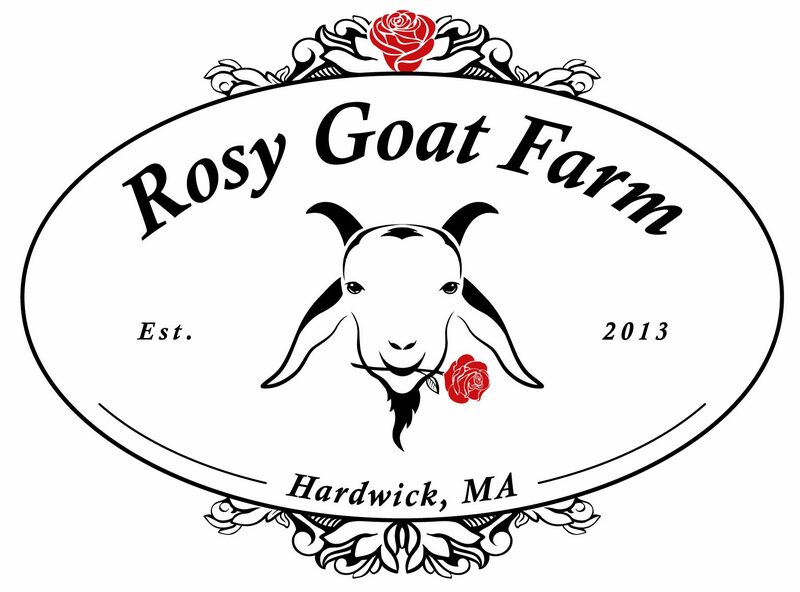 We have invested in Kiko meat goats, which originates in New Zealand, we chose them for their high quality meat, they are aggressive foragers, and we have overgrown pastures that would suit this breed perfectly. They are hardy, resistant to parasites, and good mothers. They have the ability to achieve substantial weight gain when run under natural conditions without supplementary feeding. The animals are easier on the land as they are browsers rather grazers. The name ‘Kiko’ had been traditionally used by New Zealand’s native people, the Maori, to describe substantial meat producing animals. Goat meat is the most consumed meat in the world! Its an excellent alternative to beef. As i mentioned already, there are many benefits to eating goat meat. Nutritionally it has a third less calories than beef per serving. It is leaner, lower in cholesterol and saturated fats, and the fat that is in goat meat has CLA which is a cancer-preventing fatty acid. There are B vitamins and selenium in the meat, the B12 can help reduce stress, and its high in protein which helps you feel fuller for longer. It has anti-inflammatory properties and can stabilize the heartbeat. Eating goat meat can help prevent anemia as it’s high in iron, there’s omega 3 fatty acids, and has low potassium, useful to control high blood pressure. Of our hogs, one of the rare breeds we have are Gloucestershire Old Spot – known for it’s lard and marbling, this pork has a hearty robust flavor. This is a beautiful looking hog, pinkish with black spots, that is of British ancestry. The Old Spot is rare because it’s genetics are scarce in the US. It’s one of the best eating hogs in the world. These pigs take longer to reach maturity- almost twice as long as the industry standard, which results in that marbling, and delectable fat, which renders down to a satisfyingly lard that makes exquisite pastry! When pigs are raised on pasture out in the sunshine and have plenty of room to forage, their meat and fat are rich in micro-nutrients like fat soluble vitamins D and E, and minerals like selenium which plays a role in thyroid function Selenium needs vitamin E to work as an antioxidant. Pastured pork has a better ratio of omega-3 to omega-6 fatty acids compared to pigs at factory farms. The benefits of eating pastured pork are many. We feed them a non-gmo grain ration by hand twice daily- especially in winter, and they forage and root in their overgrown pasture (helping to develop that robust floral flavor) as their breed has been developed over the centuries to do- clearing out old orchards of fallen apples was their desired job! The daily feeding of grain is a little labor intensive, but really worth it as these hogs are friendly and ‘chatty’! Some of our Old Spots have been cross bred with Berkshire’s. Berkshire’s are prized for their tenderness, flavor and they’re also well marbled. Also an English breed, these hogs were specially bred for the Kings personal supply because of it’s excellence. We cross our Gloucestershire Old Spots with a Tamsworth boar, which is a longer leaner breed, the flavorful Tamsworth meat combines with the moist marbling of the Old Spot and Berkshire’s, and being longer in length means more bacon! The Tamsworth’s also originated in England- in Tamsworth Staffordshire, (with some input from Irish pig’s) It’s among the oldest of pig breeds. It is listed as ‘threatened’ in the US, and ’vulnerable’ in the UK. They’re a beautiful red color. Our pork bacon and sausage is undeniably delectable! You will not find this delicious meat at the supermarket. Another heritage breed we have are Muscovy ducks. These ducks lay great eggs, but are better known for their meat. They’re a distinct breed as they’re more closely related to geese, domesticated by various Native American cultures by the time Columbus reached the Bahamas! The males can grow to 15 lbs- 18 lbs and they have a meat flavor comparable to beef or veal. The meat is considered lean compared to the fatty meat of the mallard-derived ducks. The drakes are quack-less and make a hissing sound, the females quack when distressed. These guys forage every day in our back field eating bugs and grazing grass, developing a hearty flavorful red meat, great for roasting and braising. We have raised Red Ranger meat chickens which free range and forage and are more natural behaving compared to the Cornish Rocks, or Cornish Cross. They take longer to mature as they burn calories while foraging, and they are therefore leaner, and have a robust chicken flavor. The Cornish rocks have foraging almost bred out of them so they’re more sedentary, and are happy to sit at the feeder. They eat more grain, and their meat is tender because of their inactivity. They will forage while young but they fatten fast and their legs struggle to walk. The Cornish cross are ready to be processed by 8 weeks and dress out between 5-8 lbs. We have grown both in the past and like the quick growth of the Cornish Cross, and the flavor of the Red Rangers. It’s not all meat! We have a variety of tasty traditional fruits and vegetables. We grow Heirloom asparagus, Mary Washington, and it’s a traditional variety that produces long, deep green spears with a purple tinged tips. It has been a favorite in American gardens for over a century. We use our own compost to feed our asparagus and our own wood chips to protect their feet! We have a rhubarb patch. ‘Victoria’ is a classic heirloom vegetable, although we tend to treat it as a fruit. It is used in sweet and sour desserts of English origins. And we grow garlic. Garlic scape pesto doesn’t last long in our house! Hopefully we grew enough this year to keep up with the demand! That’s our offering for now!